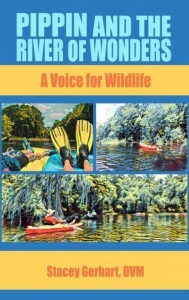 *Pippin and the River of Wonders: A Voice for Wildlife (Children Books Deal of the Day, Sponsor, A fun and inspiring tale of one bold little girl’s adventures on a Florida river) by DVM Stacey Gerhart. Price: $4.49. Genre: Children Books Deal of the Day, Sponsor, A fun and inspiring tale of one bold little girl’s adventures on a Florida river. Rated 5 stars on 12 review. 103 pages. ASIN: B07NDLXWFH. 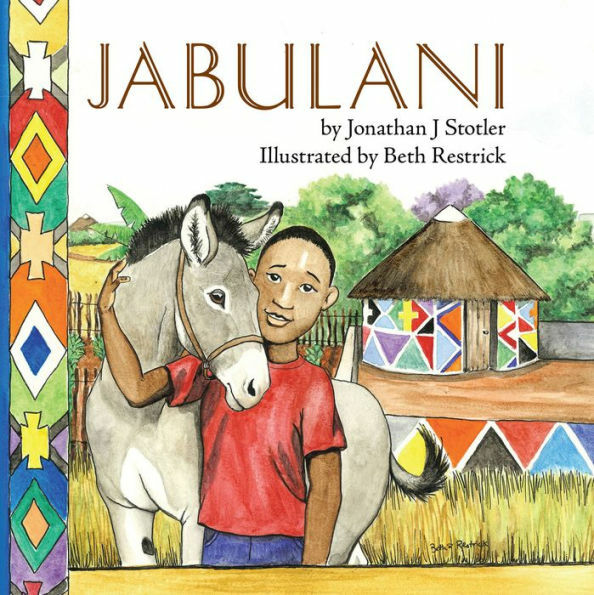 *Jabulani (Childrens Picture Books by Age 6-8 Christian Child) (Children’s Magical Fantasy Deal of the Day, Sponsor, Tragedy strikes and secrets from the past are revealed, changing the relationships of all concerned) by Jonathan J Stotler, Beth Restrick. Price: $3.99. Genre: Children’s Magical Fantasy Deal of the Day, Sponsor, Tragedy strikes and secrets from the past are revealed, changing the relationships of all concerned. Rated: 4.8 stars on 10 Reviews. 32 pages. ASIN: B07965GC9N. 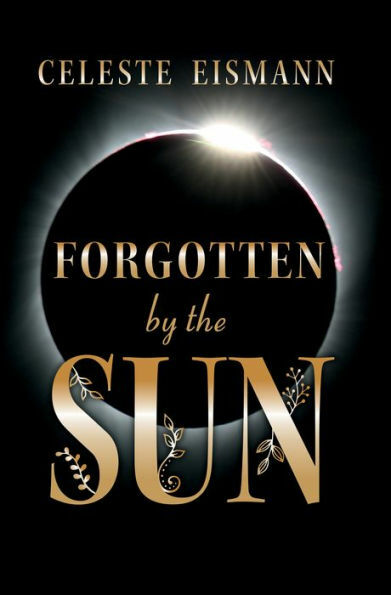 *Forgotten By the Sun (YA Fantasy Deal of the Day, Sponsor, A world where nothing is as it seems, and stories once believed to be mere myth are anything but true) by Celeste Eismann. Price: $0.99. Genre: YA Fantasy Deal of the Day, Sponsor, A world where nothing is as it seems, and stories once believed to be mere myth are anything but true. Rated: 4 stars on 5 Reviews. ASIN: B07MZ5VSDK. *Lady Charlotte (Ladies of Disgrace) (Historical Romance Deal of the Day, Sponsor, Charlotte is an absolute delight, she is everything you don’t typically find in historical romances) by Vicki Hopkins. Price: $0.99. Genre: Historical Romance Deal of the Day, Sponsor, Charlotte is an absolute delight, she is everything you don’t typically find in historical romances. Rated: 4.3 stars on 8 Reviews. 222 pages. ASIN: B07B6WK9L7. *Kenyan Heat (Shifter Romance of the Day, Sponsor, Can Nate convince Ife that he is so much more than a lovefool) by A. B. Robinette. Price: $0. Genre: Shifter Romance of the Day, Sponsor, Can Nate convince Ife that he is so much more than a lovefool. Rated: 5 stars on 1 Reviews. 159 pages. ASIN: B07H4487XJ. *If She Were Blind (The After Twelve Series Book 1) (Steamy Thriller of the Day, Sponsor, Legal Thriller, If you like the television series Scandal and Revenge) by Laney Wylde. Price: $0. Genre: Steamy Thriller of the Day, Sponsor, Legal Thriller, If you like the television series Scandal and Revenge. Rated: 4.6 stars on 34 Reviews. 173 pages. Paperback version! ASIN: B07FY82KDJ. *Darkness in Malaga (Mystery Deal of the Day, Sponsor, Set in Spaion, A Grizzled Spanish Detective and a retired British Solider hunt human traffickers in Spain) by Paul S Bradley. Price: $4.99. Genre: Mystery Deal of the Day, Sponsor, Set in Spaion, A Grizzled Spanish Detective and a retired British Solider hunt human traffickers in Spain. Rated: 5 stars on 2 Reviews. 324 pages. Paperback version! ASIN: B07932Y6M4. *The Death of America (Crime Thriller Deal of the Day, Sponsor, An insidious and deadly plot to destroy America) by Robert L. Stevens. Price: $3.99. Genre: Crime Thriller Deal of the Day, Sponsor, An insidious and deadly plot to destroy America. Rated: 5 stars on 2 Reviews. 262 pages. Paperback version! ASIN: B0793TX17J. *Christianity A Successful Failure: Finding Faith in an Age of Fear and Falsehood (Christian Book Deal of the Day, Sponsor, What’s Christianity, Why is Christianity a Successful Failure) by Timothy M Spiess. Price: $4.49. Genre: Christian Book Deal of the Day, Sponsor, What’s Christianity, Why is Christianity a Successful Failure. Rated: 4 stars on 2 Reviews. 471 pages. ASIN: B07H74SRLN. *To Earth and Back (Christian SciFi Romance of the Day, Sponsor, A young Jewish girl who has no idea what lies ahead, A young physician from a civilization light years away who studies and records her every move) by William Boardman. Price: $0. Genre: Christian SciFi Romance of the Day, Sponsor, A young Jewish girl who has no idea what lies ahead, A young physician from a civilization light years away who studies and records her every move. Rated: 5 stars on 3 Reviews. 263 pages. ASIN: B079DG8NRV. *Birth of an Empire: The Beginning (Science Fiction of the Day, Sponsor, Very well written, If you like Space Opera) by Catrina Taylor. Price: $0. Genre: Science Fiction of the Day, Sponsor, Very well written, If you like Space Opera. Rated: 4 stars on 62 Reviews. 364 pages. ASIN: B006GNXPJI. *Wild Hearts: The Coming Night (Science Fiction Deal of the Day, Sponsor, Adventure, A Fast Action Packed Roller Coaster Ride) by Andrew Wichland. Price: $2.99. Genre: Science Fiction Deal of the Day, Sponsor, Adventure, A Fast Action Packed Roller Coaster Ride. Rated 4.5 stars on 6 review. 145 pages. Paperback version! ASIN: B07F43CY3F. *Shadow Life (Science Fiction Deal of the Day, Sponsor, A tightly controlled City State, Firm Restrictions on Reproduction, A Deeply Layered Near Future World) by Jason Mather. Price: $1.99. Genre: Science Fiction Deal of the Day, Sponsor, A tightly controlled City State, Firm Restrictions on Reproduction, A Deeply Layered Near Future World. Rated: 4.5 stars on 22 Reviews. 306 pages. Paperback version! ASIN: B077BWJ3RS. *Elji and the Galrass (Time Travel Science Fiction Deal of the Day, Sponsor, Metaphysical and Visionary Science Fiction) by Colin Sinclair. Price: $3.99. Genre: Time Travel Science Fiction Deal of the Day, Sponsor, Metaphysical and Visionary Science Fiction. Rated 4 stars on 2 review. 197 pages. Paperback version! ASIN: B07DZJ6LRZ. *Smiling Ghosts: A thrilling adventure with dangerous extraterrestrials among us! (Science Fiction Deal of the Day, Sponsor, The world is not what it seems, Neither is Miranda’s new boyfriend, Second apocalyptic death) by Bridgette Ehly. Price: $0.99. Genre: Science Fiction Deal of the Day, Sponsor, The world is not what it seems, Neither is Miranda’s new boyfriend, Second apocalyptic death. Rated: 5 stars on 6 Reviews. 365 pages. ASIN: B07HNFKV7S. *Another Day, Book 1 (Delta Flight) (Military Science Fiction Deal of the Day, Sponsor, End of the world starts as a beautiful day) by Terry A Perrine, Brian Paone. Price: $3.99. Genre: Military Science Fiction Deal of the Day, Sponsor, End of the world starts as a beautiful day. Rated: 5 stars on 1 Reviews. 211 pages. Paperback version! ASIN: B07PJ57S19. ***The Wild Hunt (Faerie Sworn, #1) (Fantasy Fairy Tales of the Day, Sponsor, Mythology and Folk Tales) by Ron C. Nieto. Price: $0. Genre: Fantasy Fairy Tales of the Day, Sponsor, Mythology and Folk Tales. Rated: 4.4 stars on 142 Reviews. 308 pages. ASIN: B00KO76LC0. *Awakening (The Euphorian Era Trilogy, #1) (Science Fiction Deal of the Day, Sponsor, what if we were meant to be immortal beings, what if bionic beings had brainwashed and imprisoned us, can one group of heroes free us from slavery we don’t even know we suffer from) by Michael Estafo, Sabrina Estafo. Price: $0.99. Genre: Science Fiction Deal of the Day, Sponsor, what if we were meant to be immortal beings, what if bionic beings had brainwashed and imprisoned us, can one group of heroes free us from slavery we don’t even know we suffer from. Rated: 4.6 stars on 19 Reviews. 292 pages. ASIN: B07P5TN3H6. ***Cold Lonely Courage: Novel war (ENC.ROMANS) (Historical Fiction Deal of the Day, Sponsor, World War II, A Woman must take on the Nazi Army to save her brother) by Soren Paul Petrek. Price: $7.49. Genre: Historical Fiction Deal of the Day, Sponsor, World War II, A Woman must take on the Nazi Army to save her brother. Rated: 4.4 stars on 326 Reviews. 364 pages. ASIN: B07MTML6CJ. *For Beau: The Sarah Ashdown Story (Historical Fiction Deal of the Day, Sponsor, An ordinary housewife who defied the odds to become one of the most wanted women in occupied Europe) by Simon Gandossi. Price: $4.99. Genre: Historical Fiction Deal of the Day, Sponsor, An ordinary housewife who defied the odds to become one of the most wanted women in occupied Europe. Rated: 4.5 stars on 6 Reviews. 406 pages. Paperback version! ASIN: B079665D3J. *Dragon Knight Chronicles: The Awakening (YA Science Fiction Deal of the Day, Sponsor, Epic Fantasy, Great Tale) by Andrew Wichland. Price: $2.99. Genre: YA Science Fiction Deal of the Day, Sponsor, Epic Fantasy, Great Tale. Rated 4.3 stars on 17 review. 122 pages. Paperback version! ASIN: B01GAFBQGA. *Lumen and the Thistle (Fiction of the Day, Sponsor, Magical Realism, Trouble is brewing in Bonumalus, Lumen receives several mysterious warnings all with one thing in common, a thistle) by EJ Wozniak. Price: $0. Genre: Fiction of the Day, Sponsor, Magical Realism, Trouble is brewing in Bonumalus, Lumen receives several mysterious warnings all with one thing in common, a thistle. Rated: 4.9 stars on 19 Reviews. 249 pages. ASIN: B07LDHM4QL. *Hitherto & Thitherto (Literary Fiction Deal of the Day, Sponsor, Coming face to face with the unfathomed) by OZAIR SIDDIQUI. 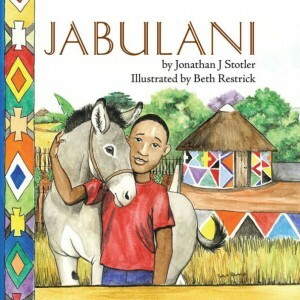 Price: $9.00. Genre: Literary Fiction Deal of the Day, Sponsor, Coming face to face with the unfathomed. Rated 5 stars on 1 review. 204 pages. ASIN: B073N9FNGB. *The Stories of a Little Town (Literary Fiction Deal of the Day, Sponsor, An entertaining, enthralling, light hearted read with powerful messages and relatable stories) by Gigi Mera. Price: $3.99. Genre: Literary Fiction Deal of the Day, Sponsor, An entertaining, enthralling, light hearted read with powerful messages and relatable stories. Rated: 4.4 stars on 7 Reviews. 120 pages. Paperback version! ASIN: B079YJSHMP. *108 BUDDHIST PARABLES AND STORIES (Literary Fiction Deal of the Day, Sponsor, 108 Buddhist Parables and Stories) by Olga Gutsol. Price: $0.99. Genre: Literary Fiction Deal of the Day, Sponsor, 108 Buddhist Parables and Stories. Rated: 5 stars on 1 Reviews. 241 pages. ASIN: B07PY4QNSV. *Witness Of Love: “When Loyalty Kills” (Paperback) (African American Deal of the Day, Sponsor, Displays how loyalty and love can present a difficult balance) by Ms. Sylvia W. Allen. Price: $35.00. Genre: African American Deal of the Day, Sponsor, Displays how loyalty and love can present a difficult balance. Rated 4.8 stars on 10 review. 303 pages. ASIN: B07NXQX2KB. *Unfinished Business (Urban Fiction Deal of the Day, Sponsor, Join Asha as she deals with a broken home and self doubt) by Lacrecia Hillis. Price: $2.99. Genre: Urban Fiction Deal of the Day, Sponsor, Join Asha as she deals with a broken home and self doubt. Rated: 5 stars on 1 Reviews. 23 pages. ASIN: B07QB9M78M. *Live True: A Mindfulness Guide to Authenticity (Nonfiction Deal of the Day, Sponsor, Discover, Awaken and Connect to yourself in a Mindful way) by Ora Nadrich, PhD Ronald A. Alexander (Foreword by). Price: $17.95. Genre: Nonfiction Deal of the Day, Sponsor, Discover, Awaken and Connect to yourself in a Mindful way. Rated 5 stars on 47 review. ISBN: 0578432102. *Nacer con estigma, vivir con alegría (Non Fiction Deal of the Day, Sponsor, Spanish Language Self Help Book, Climb Your Mountain of Success) by Bernardo García. Price: $15.99. Genre: Non Fiction Deal of the Day, Sponsor, Spanish Language Self Help Book, Climb Your Mountain of Success. Rated 5 stars on 1 review. 185 pages. ASIN: B07NF3V7Q6. *Emotional Dimensions of Healthcare (Non Fiction Wellness and Health Deal of the Day, Sponsor, The next leap forward in healthcare, Embracing the emotional dimension of our lives, Written by the former Deputy Commissioner of the NYS Office of Mental Health) by David Woodlock. Price: $3.99. Genre: Non Fiction Wellness and Health Deal of the Day, Sponsor, The next leap forward in healthcare, Embracing the emotional dimension of our lives, Written by the former Deputy Commissioner of the NYS Office of Mental Health. Rated 5 stars on 1 review. 254 pages. Paperback version! ASIN: B072397JM4. *Departure From Indifference: Probing the Framework of Reality (Nonfiction Deal of the Day, Sponsor, Understanding reality, Does an atom in the human body that can experience any sensation exist) by Octavio A. Melo. Price: $2.99. Genre: Nonfiction Deal of the Day, Sponsor, Understanding reality, Does an atom in the human body that can experience any sensation exist. Rated: 5 stars on 1 Reviews. 84 pages. ASIN: B07P6MQQNW. *Leadsology: Marketing The Invisible (Nonfiction Deal of the Day, Sponsor, Marketing the invisible, Enjoy a predictable weekly flow of high quality new client inquiries) by Tom Poland. Price: $9.99. Genre: Nonfiction Deal of the Day, Sponsor, Marketing the invisible, Enjoy a predictable weekly flow of high quality new client inquiries. Rated: 5 stars on 2 Reviews. 330 pages. ASIN: B07H4CQLW6. *I Was a Teenage JFK Conspiracy Freak (Nonfiction Deal of the Day, Sponsor, JFK Assassination, US History, An incredible secret, why some JFK assassination documents must remain locked up) by Fred Litwin. Price: $2.99. Genre: Nonfiction Deal of the Day, Sponsor, JFK Assassination, US History, An incredible secret, why some JFK assassination documents must remain locked up. Rated: 4 stars on 14 Reviews. 274 pages. ASIN: B07HBS6QY4. *Helping Effortlessly: A Book of Inspiration and Healing (Paperback) (Nonfiction Deal of the Day, Sponsor, A journey of healing and recovery from burnout) by Jenn Bruer. Price: $12.99. Genre: Nonfiction Deal of the Day, Sponsor, A journey of healing and recovery from burnout. Rated: 5 stars on 1 Reviews. ASIN: B07MNXTJDS. *The Soulful Leader: Success with Authenticity, Integrity and Empathy (Business Non Fiction Deal of the Day, Sponsor, Building Business Teams, Authentic Business Mentoring & Coaching) by Arthur P. Ciaramicoli. Price: $8.99. Genre: Business Non Fiction Deal of the Day, Sponsor, Building Business Teams, Authentic Business Mentoring & Coaching. Rated: 4 stars on 5 Reviews. 131 pages. ASIN: B07N8YG5J1.